Bolt Heaters: Flexible and Standard Bolt Heaters - Try our Speed Heater! 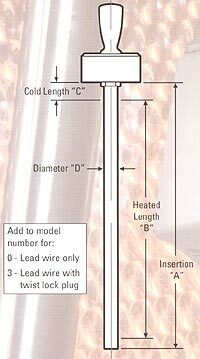 Straight bolt heaters available with or without lead wire & plug. To order flexible heaters find size and change the BPH to PF.